Maharana Pratap was the son of Udai Singh II. His mother was Rani Jeevan Kanwar. He was born on May 9, 1540, in Kumbhalgarh. He was the epitome of valour and gallantry. Emperor Akbar made many attempts to convince to sign a treaty but Maharana was rather willing to sign a peace treaty without the loss of sovereignty. Maharana Pratap (9 May 1540 – 29 Jan 1597) ruled over Mewar only for 25 years. 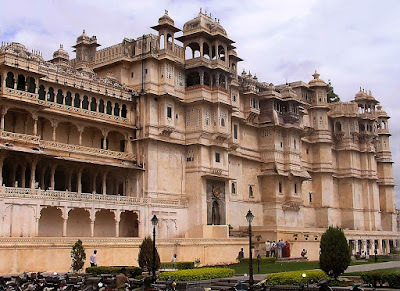 However, his heroic tale surpassed the boundaries of not only Mewar but also the countries. He became the symbol of valour and sacrifice mingling with patriotism. Mewar was always a prominent Rajput kingdom even before Maharana Pratap occupied the throne. The rules of Mewar had set up such a tradition with the cooperation of the nobles. In the kingdom, as augmented their magnificence despite the hurdles of having a smaller area under their command and less population. There were a few moments when the flag of Mewar seemed to be sliding down but due to high spirit of gallantry and brilliance of the people in Mewar, the flag once again was unfurled high in the sky. The most of the rulers in Mewar were competent and patriotic by nature. They would like to rather die than bow down to any other power than almighty. This tradition lasted for the next 1500 years. The glory of the kingdom was at its peak during the reign of Maharana Pratap and Rana Pratap. His reputation went beyond Rajasthan and reached Delhi. Art and literature also flourished during the period. Rana Pratap gave several pieces of writing which are a source of literary information for the historians. The favourable atmosphere made the advancement of art and literature during the period. The generation to come would hardly have such an example of extraordinary accomplishment. This is reflected in their art and literature as well as their loving nature. They compensate for lack of admirable physique by their firm but pleasant nature. The ambience of Mewar remains lovely thanks to the cheerful and liberal character of its people. One may observe astonishing pieces of workmanship not only in the forts and palaces of Mewar but also in public utility buildings. 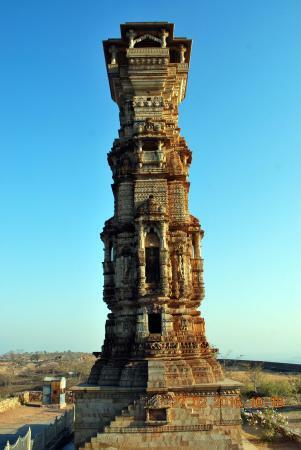 Ruins of many structures which are still standing tall in their grandeur are a testimony to the fact that Mewar was not only the land of the brave but also a seat of art and culture. Amidst aggression and bloodshed, literature and artists did not suffer. Imagine, how glorious the period must have been when the Vijaya Stambha which is the sample of our great ancient architecture even today, was constructed. 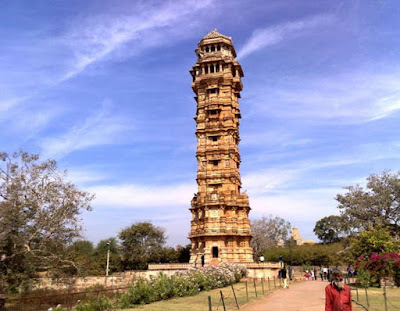 In the same fort, Kriti Stambha is standing high, reflecting how liberal the ten administrations was which allowed people from other communities and kingdom to come and carry out construction work. It is useless to indulge in the debate whether the Vijay Stambha was constructed first or the Krity Stambha. The fact is that both the capitals are standing side by side and reveal the proximity between the king and the subjects of Mewar. The cycle of time does not remain the same. Whereas the reign of Rana Sanga was crucial in raising the kingdom to the acme of glory, it also proved to be his nemesis. History took a turn. The fortune of Mewar-the land of the brave started waning. Rana tried to save the day with his acumen which was running against the stream and the glorious traditions for some time.